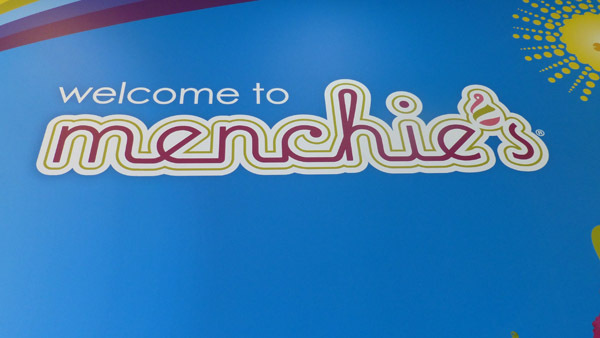 Have you heard of Menchie’s or tried it yet? 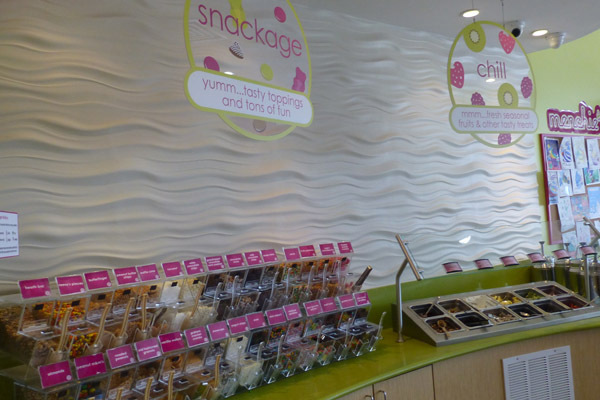 Menchie’s is a yogurt bar. You go in and browse the flavors of the day, you take an opportunity to taste the ones you’re considering, you grab a cup and you help yourself. You serve as little or as much frozen yogurt as you want, one flavors or a few, then top it with whatever you want. They have dry toppings (brownie bits, chocolate chips, nuts, granola, etc. ), fruit toppings (cherries, pineapple, etc.) and then the hot toppings (caramel, fudge, etc.). It’s a lot of fun. 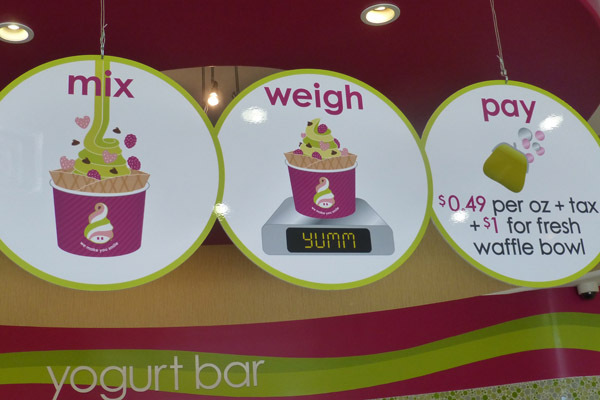 The way Menchie’s works is that you pay by weight — the more you serve for yourself, the more you pay. And the fro-yo is very good. 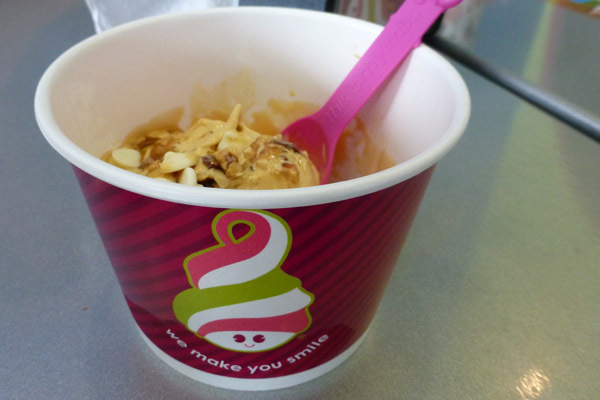 Honestly, it doesn’t matter if you don’t like frozen yogurt, you have to try Menchie’s at least once. It’s definitely an experience. 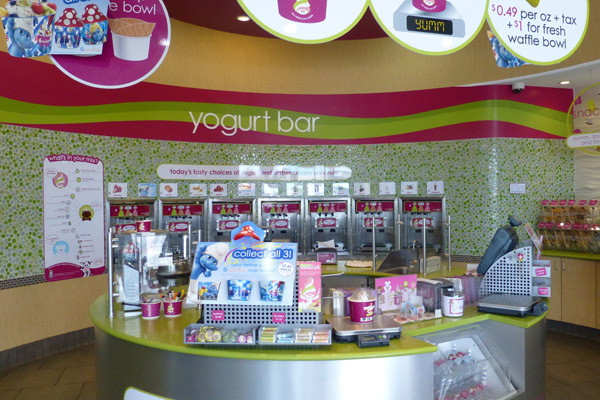 You can find a location near you at http://www.menchies.com/yogurt-shop-our-locations. Pay $0.49 per oz. + $1 for fresh waffle bowl. 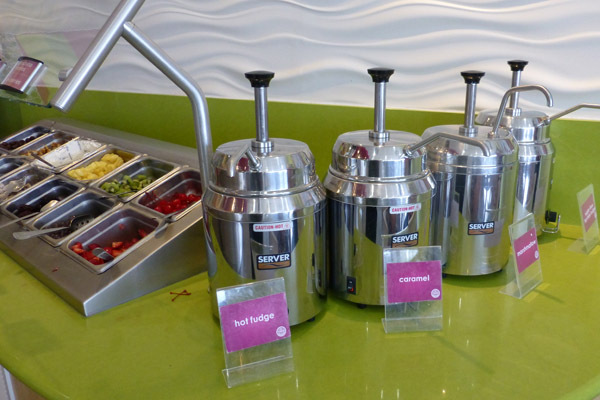 The total Menchie’s experience is a self-serve bonanza. 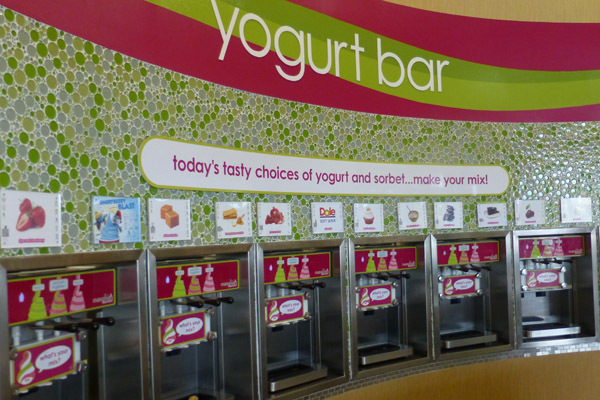 The choices in frozen yogurt change daily. 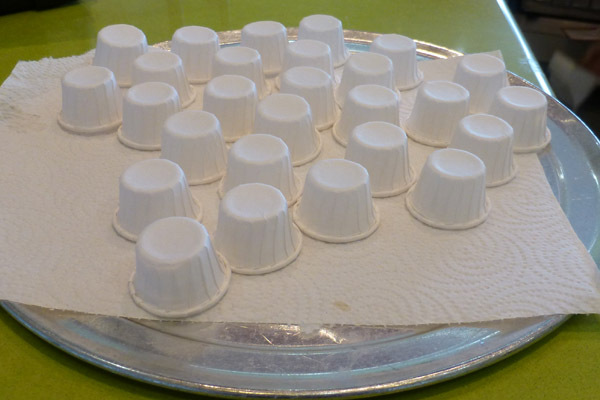 You can sample the flavors, using these little cups, just waiting on the counter for your pleasure. You can fill your cup with as much or as little as you want…. just remember that you’re paying by weight. 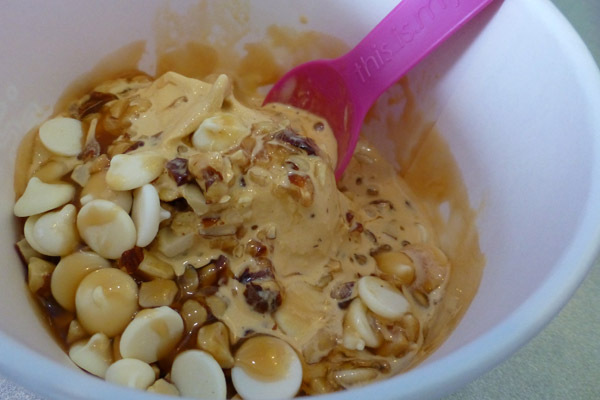 My concoction: dulce de leche fro-yo, almonds, white chocolate chips and caramel.